The Ask, Listen, Do project supports organisations and practitioners to learn from and improve the experiences of people with a learning disability, autistic people, their families and carers when giving feedback, raising a concern or making a complaint. This PDF toolkit includes tips for health, social care and education organisations and practitioners for making feedback, concerns and complaints easier for people with a learning disability, autistic people, families and carers. This Ask, Listen, Do resource is for social care, health and education organisations, large or small, and their practitioners who support people with a learning disability, and autistic people. 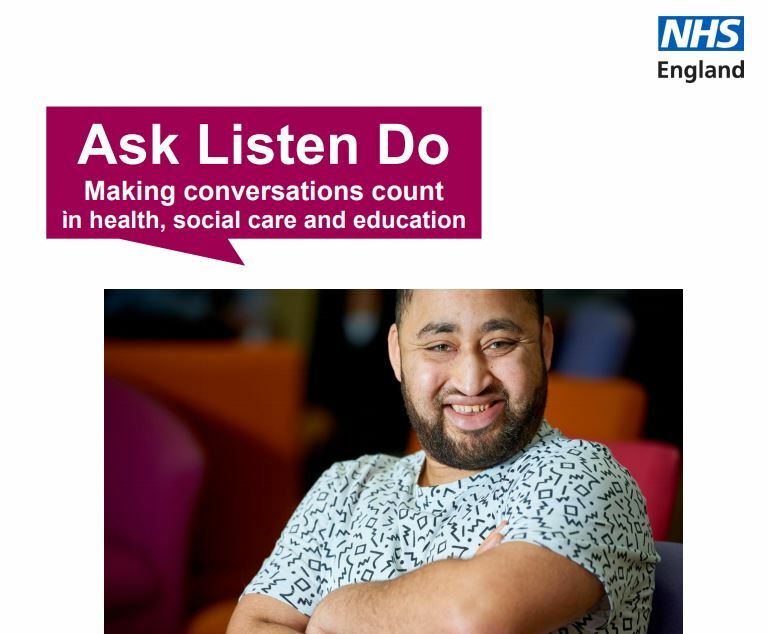 It has been developed by NHS England in partnership with national organisations who have agreed to sign up to the principles of Ask, Listen, Do, so that people with a learning disability and autistic people have the same chance of good health, education and social care outcomes as everyone else.